Soon after, my mom's side of the family adopted a "presents only for the kids" rule, followed by a you-can-give-a-present-if-you-want-to-but-only-if-you-make-it rule. And it can't be expensive. On dad's side of the family, we opted for a draw names sort of system, and the gift also had to be home made, but that only lasted a year. We quickly moved to the let's donate as a family to charity model, and my sister took the lead. But we still were allowed to give eachother one present...not expensive, usually of the bottle-of-some-sort-of-alcohol variety. At home, my husband and I adopted a stocking stuffers only rule, followed the last three years by a new tradition of going to the mall the last few days before christmas, having a few cocktails, and then walking around looking at all the craziness surrounding us. Holiday lights and a frenzy of shoppers is tremendous fun if you don't really have to go shopping. Ever since we have adopted these rules. Holidays have been so much more precious, and so much less stressful. Instead of worrying if we have enough money to get everyone a gift, we concentrate more on getting together and loving eachother. It's pretty awesome. 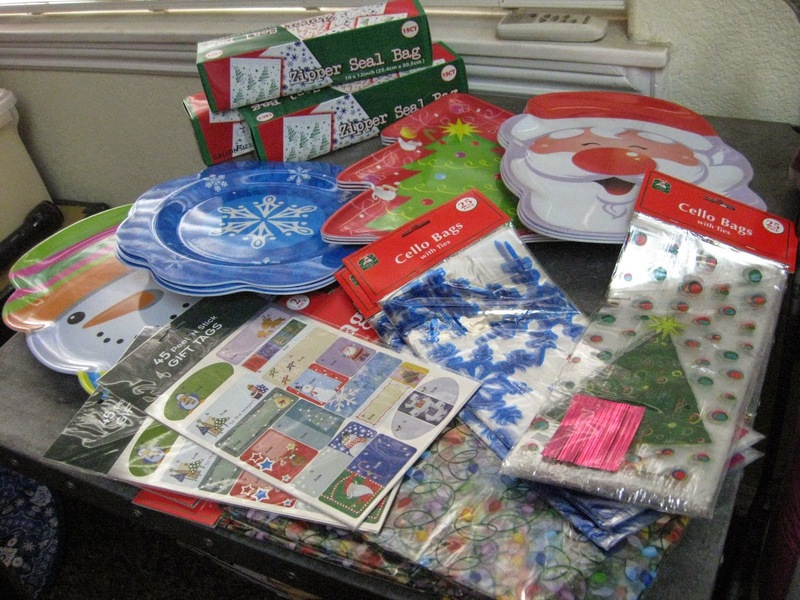 cheap festive plates from the dollar store. But, I admit, I really love to give presents during the holidays. So, I take advantage of the homemade rule, and every year I turn my kitchen into a cookie baking, candy making, drink mix mixing, pickle canning, liqueur brewing factory. It's so much fun to give DIY vegan food gifts to people. Especially when gifting to non-vegans. It puts the word, the idea, and, of course, the undeniably delicious treat right in front of their face and plants the seed of compassion. Who knew a cookie had so much power? 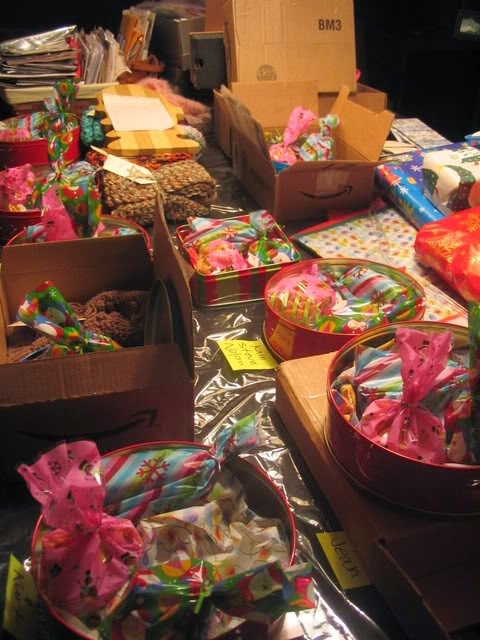 The idea of gift-ivism is what sparked my writing of Vegan Food Gifts. I have always loved making presents. And I had (have) tons of craft books, yarn, fabric, beads, paints, mod-podge, scrap booking supplies (I know, I know) and just about any other crafting supply you could think of. I wanted to share how easy it was to make really awesome vegan food gifts. I started compiling all of the gifts I had made and given over the years and started working on new and easy projects. 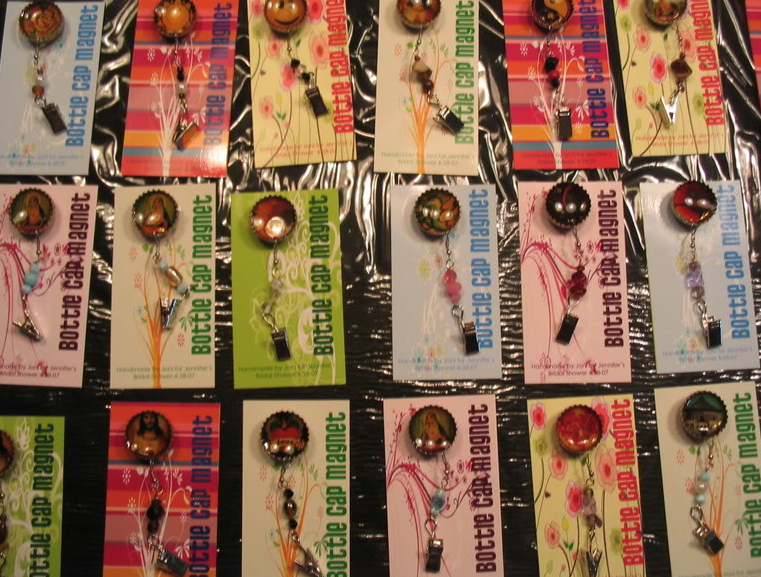 I partnered up with Kurt Halsey to do all of the designing of the scannable gift tags and recipe cards, and to illustrate the how to instructions for the crafts and packaging portion of the book. 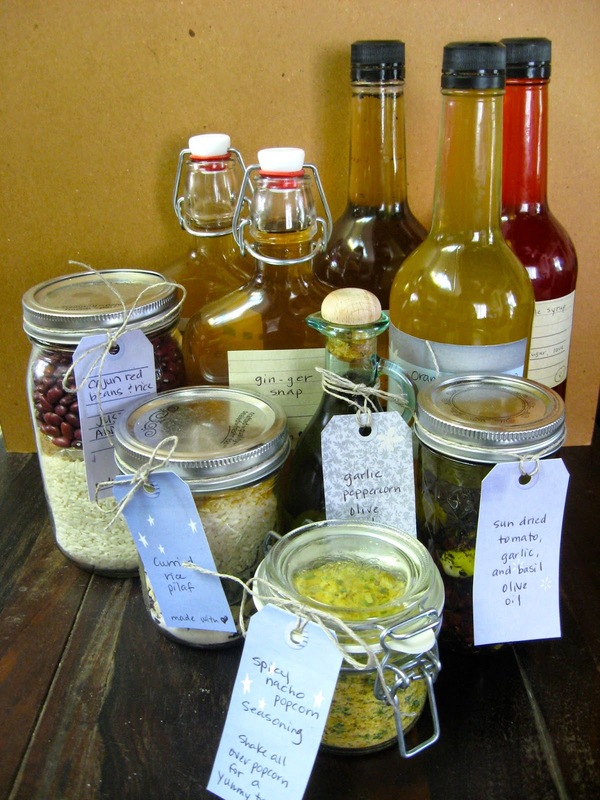 All in all there are over 100 ideas for DIY projects to give away to friends and family. 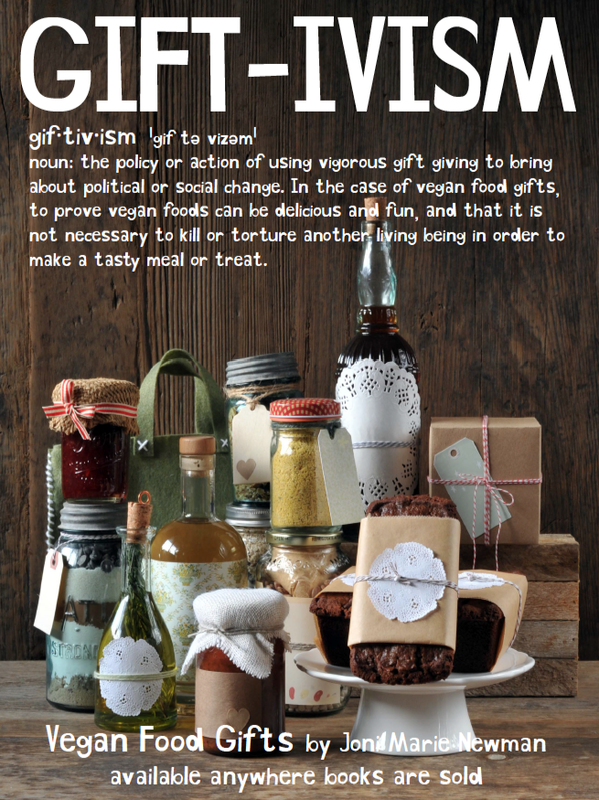 I would like to kick off this gift-ivism season by giving away a copy of Vegan Food Gifts to one person anywhere in the world. Just follow the prompts in the widget below and I will pick a winner on Sunday, December 7, at 7:00pm PST. I love making chocolate covered cherries. The best diy gift I've received was homemade khakis. Delicious! I made my Gramie a Shetland Triangle (shawl) for Christmas one year. It was beautiful. Thanks for this wonderful giveaway !!! What a great book. Since we have a garden at home every years, I like to give some of my fresh herbs and tomatoes that I dehydrated in the Excalibur and some homemade cannings (tomatoes, etc.). My mom made me the greatest scarf last year!